What do you get when you combine the digital world with the paper world? 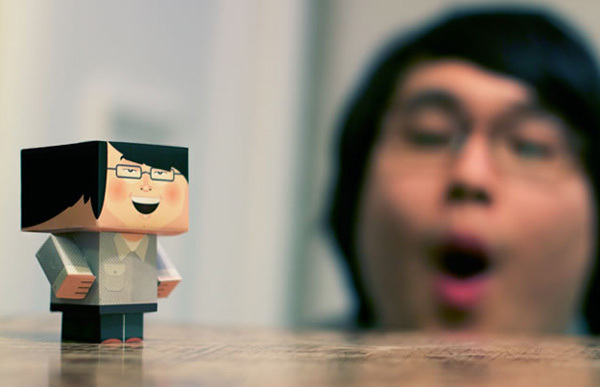 An amazing pint-sized version of yourself made from paper. It’s papercraft like I’ve never seen it. From the same clever crew that created StickyGram and Stitchagram, we now present to you Foldable Me. Great fun for both kids and adults, if ever you dreamed of creating a smaller, foldable, portable version of yourself, dream no more, for Foldable Me is your golden ticket. 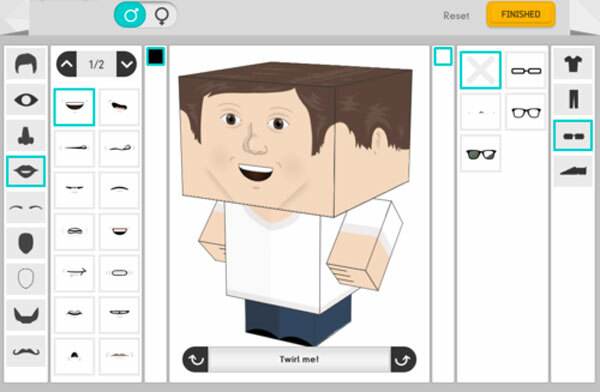 It’s all too easy to create yourself digitally with the Foldable Me website. All you need do is fine tune your features, picking out your hair first, followed by facial features before moving on to choosing your outfit and accessories. Once the design of yourself is complete and submitted, the Foldable Me folk get busy on printing and sending your paper-self. You are sent a piece of matte laminate cardboard printed using high grade inks and scored in all the right places so you can easily fold it to create an eight centimetre tall version of yourself. Try Foldable Me yourself for $11.99 with free worldwide shipping!